A preliminary program of the meeting is in preparation (http://www.gdr3545.com/). There are no registration fees for GDR members and the organizing committee will directly manage booking of hotel rooms. 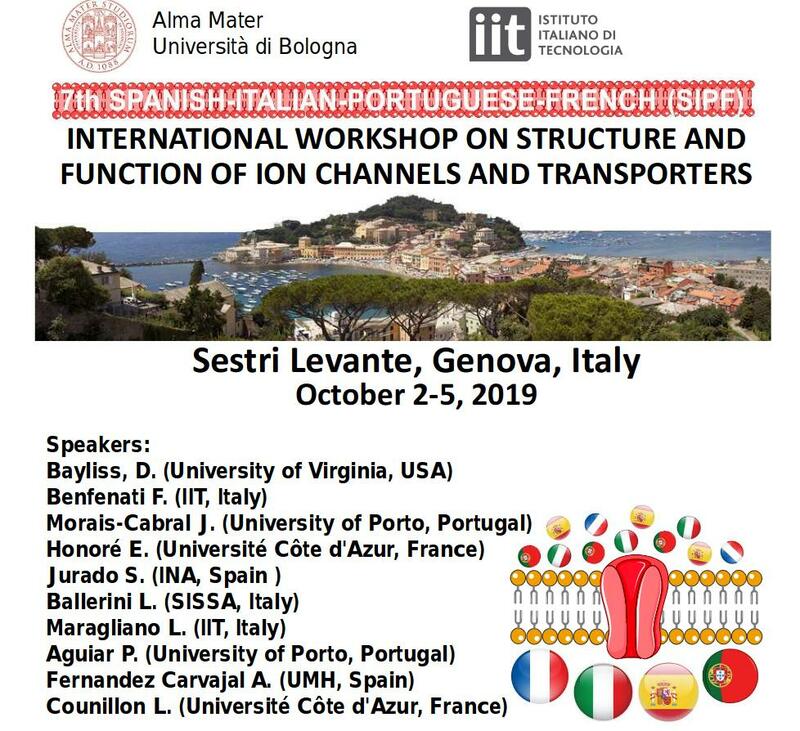 For students, post-docs and young researchers, please note that two Workshops will be organized just before the meeting (« How to improve your scientific presentations » from Esteve Foundation and an «HTRF School » from Cisbio Bioassays), on October 7-8th. Detailed information will be provided later. Of note for Ph.D students, attending a workshop could be validated as a training in their doctoral program. Do not hesitate to send this mail to colleagues who may be interested in the meeting and who may not be GDR members. 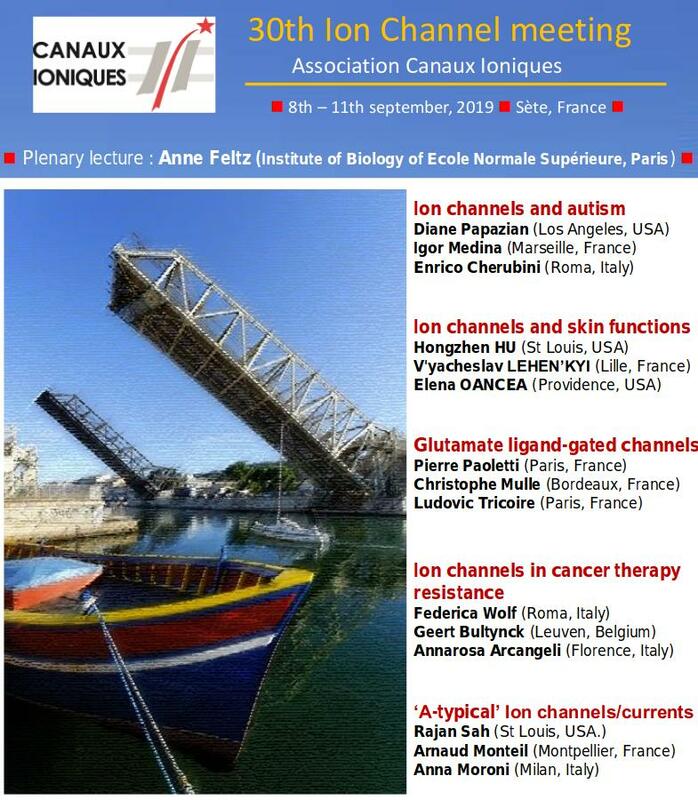 We are pleased to welcome you in Montpellier next October ! 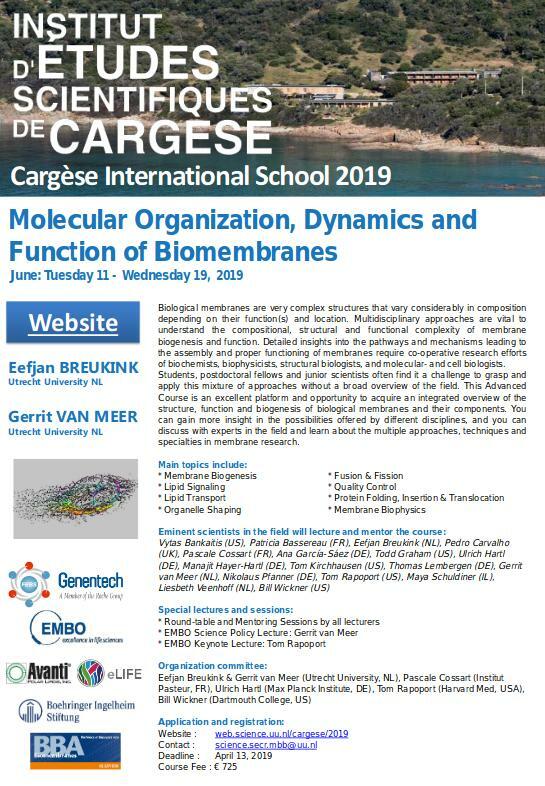 This 1st joined meeting will be held from 3-6 April 2019 at a conference site in the South of France, at Canne-Mandelieu, 30 min from Nice international airport. Exo- and endocytosis are processes by which cells communicate with their environment. Exo- and endocytosis are of recognized importance for diverse fields of science, such as neurobiology, immunology, cellular microbiology, and developmental biology. Aberrant exo- and endocytic processes also contribute to human diseases, e.g. cancer or neurodegenerative conditions. 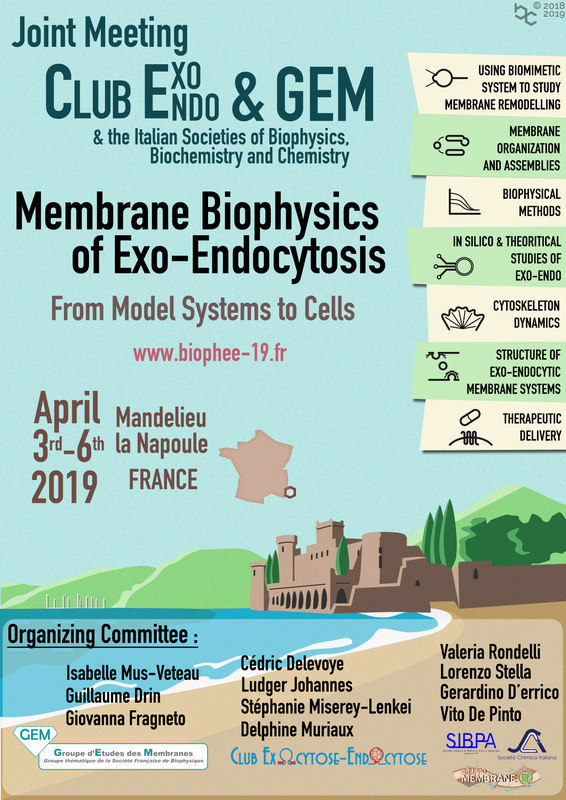 In recent years, it has become increasingly clear that novel opportunities for discovery arise when the most urgent challenges in the field of exo- and endocytic membrane trafficking are addressed from fresh angles based on innovative biophysical tools and concepts. Our meeting aims at bringing biophysicists and cell biologists together to explore these opportunities. The GEM will cover the registration fees of 3 PhD students to attend the meeting. 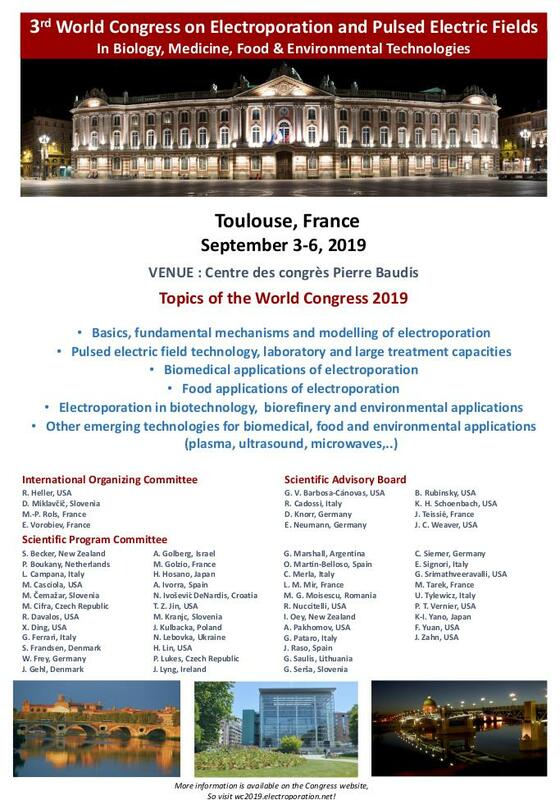 To apply, please send your application with a CV and abstract of your presentation in pdf format before January 15th 2019 to Isabel Alves (i.alves@cbmn.ubordeaux.fr). Since the deadline for meeting registration is January 15th 2019 and attendance is limited to 150 participants, it is highly encouraged to register for the meeting as soon as possible and to wait for the evaluation result in the beginning of February to pay registration fees.